#13h Wedgewood porcelain plate commemorating city of Toronto, Ontario hand and transfer painted, hallmarked WEDGEWOOD and CX in clay, WEDGEWOOD / ETRURIA ENGLAND painted brown under glaze, numbered C35 652 in red under glaze, 180 mm in diameter in excellent condition. #20h Israel Sterling Silver horseradish sauce boat for gefilte fish in form of symbolic three fish. 925 is stamped in lower right corner, it is 65 mm high, 130 mm long and 65 mm wide with total weight of 247 grams. With upcoming Holidays one can not eat gefilte fish without horseradish sauce and what is a better container for the horseradish sauce than this beautiful one in excellent condition at a bargain price. #22h Israel Sterling Silver plaque of Wailing Wall in Old City of Jerusalem. The plaque is attached to a beveled mirror that sits on an olive wood easel. On the back is the original sticker that reads "This piece is a unique design handcrafted by the Israeli artist SAAD. This is to guarantee that the following object is made of CRISTAL STERLING SILVER .925". AR925 is stamped in lower left corner of the plaque and there is a store label on the front. Total height with easel 160 mm and it is 90 mm wide. #23h Israel Sterling Silver circular figurine of “View of Jerusalem” on stone pedestal, by Ben-Zion Israel, stamped ST925 on the back; most likely weighted, total weight with stone pedestal is 234 grams, 85 mm tall, 100 x 35 mm pedestal, good condition. #24h Israel Pair of Sterling Silver Pomegranates, symbols of Israel on plastic pedestals, “With Compliments Dan Pearl – Jerusalem” a fancy hotel in Jerusalem on one pedestal, and the other pedestal is possibly replaced with Soiree on it, each fruit stamped ST925 on the bottom of pomegranate, most likely weighted, total weight of both pomegranates is 245 grams, 75 mm tall, 60 x 60 mm wide and deep, excellent condition. #27h Soviet Wristwatch “Slava” (Glory) hand winding with 21 rubies and date display. The watch is numbered 753365 and in good working order. It has Mikhail Gorbachev on the face and “The First President of USSR” written in two languages. I do not have an explanation regarding that legend. As far as the rest of the world knows, Gorbachev was the LAST president of USSR. Must be very rare. #44h Russian pair of crystal shot glasses with Imperial Double Eagle and Grand Hotel Europe in St. Petersburg, Russia monogram hand engraved on them, in original box, 70 mm tall, 40 mm in diameter. Grand Hotel Europe is the most luxurious, most expensive hotel in St. Petersburg, right in the center of the city. Not many people can afford to stay there and this souvenir from that hotel is a beautiful reminder of how beautiful life can be. 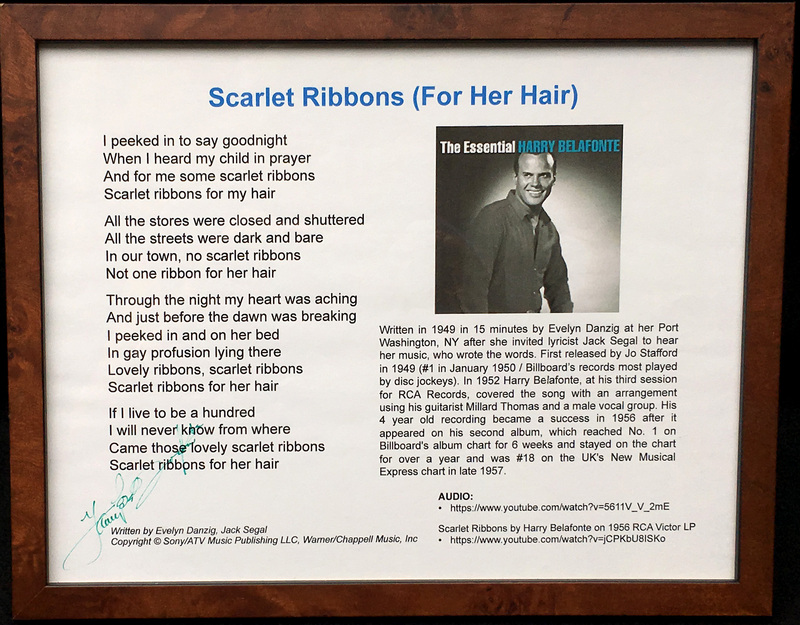 #49h U. S. Promotional sheet for Scarlet Ribbon (For Her Hair) song by Evelyn Danzig and Jack Segal performed by Harry Belafonte with image of Belafonte Essential album cover, lyrics of the song, its history and history of its performance including Belafonte. 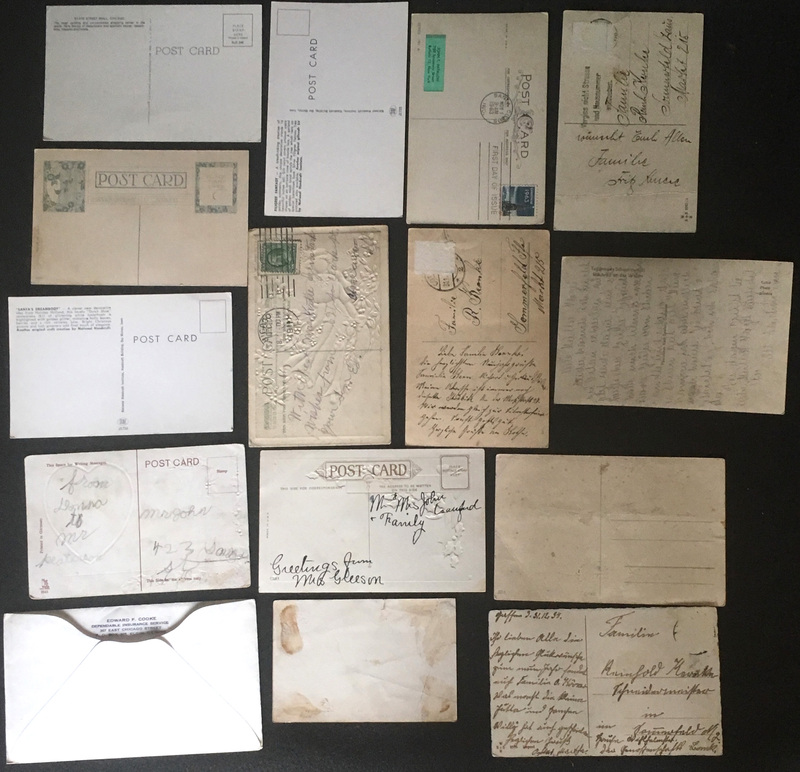 Signed “Harry Belafonte” in lower left corner in green ink. In very nice frame, 9.25" x 11.75" including frame. 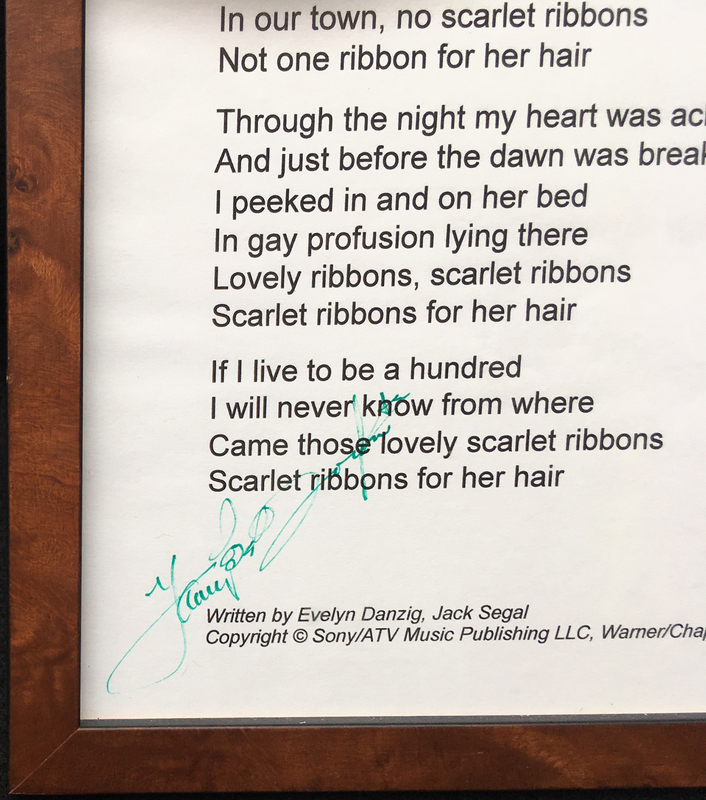 This is a very nice and neatly framed autograph by a giant of modern culture.